You were invited to a Halloween party but don’t have a costume? Then, you can put your make-up in focus. 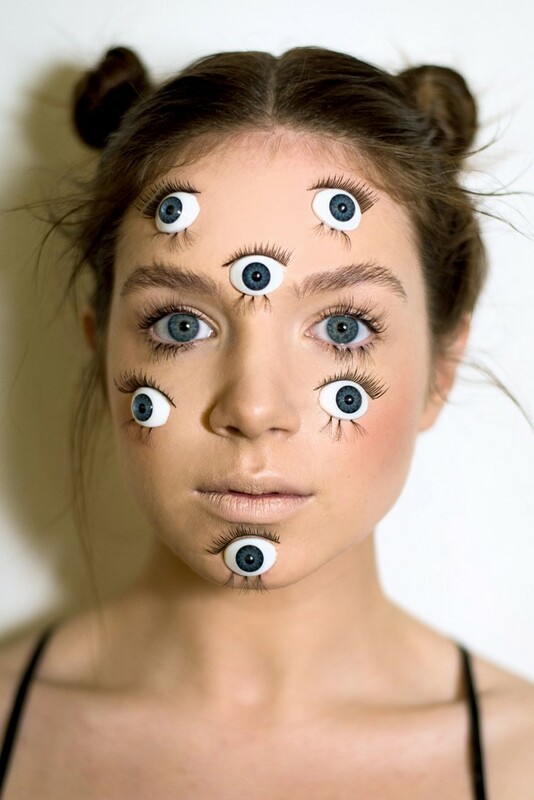 Using your daily makeup like eyeliner or foundation you can still pull off a cool Halloween worthy look, even without a costume. 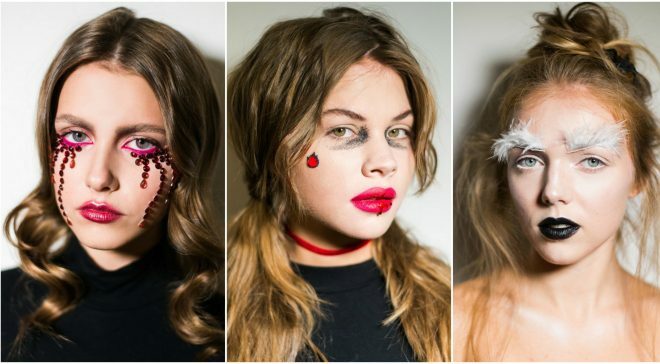 To help you, we have rounded up some amazing last minute Halloween makeup ideas that don’t requite weeks of preparation. 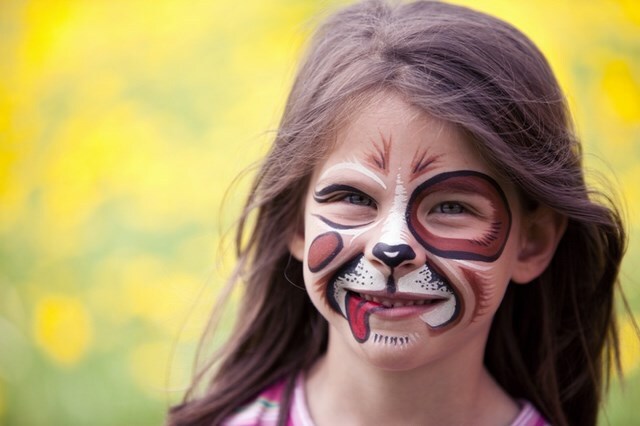 Check out these 5 easy tutorials! Step 1. So, let’s start with skin moisturizing and only after the cream has absorbed into the skin, we will apply a foundation and powder on the face. Then we take a little creamy pink rouge and with patting movements will slightly apply it on the cheeks. Using the powder of the desired shade, fill the eyebrows and comb the hair with a brush. Step 2. The color Burgundy in makeup is always relevant, especially in autumn. In order for the make-up to last the whole night, we prefer the eyeshadow pencil. 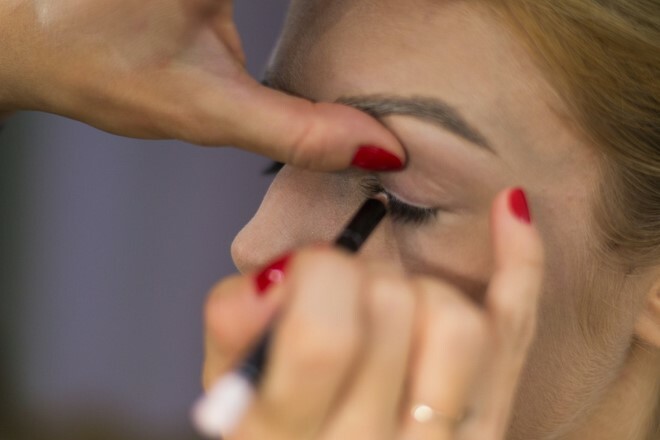 Apply a line on the crease of the eye. Step 3. Blending is an important thing in any make-up. And when you work with “liquid” eyeshadows – it’s crucial. You can use a brush or your fingers. Step 4. The next step is to apply makeup on the outer corners of the eyes. You will again need two tools – a eyeshadow stick and a brush. Step 5. Pink eyeliner is a rarity in cosmetics stores, so it is better to order in advance or use an analog, for example, a lip liner. Apply on the lower lashline and the inner contour of the eye. It is better to use a thin brush. Step 6. And now you will need a lot of patience and perseverance: it’s time to glue the rhinestones. To stick them on the skin use a cosmetic glue. However, there is no guarantee that they will “survive” until the end of the party. But you will have time to make a beautiful photo for Instagram! Step 7. After we finish with the decor of the one half of the face, repeat the same thing on the other side. Try to make it symmetrical. Step 8. Final stroke – Apply a rich pink lipstick on the lips and a gold highliter on your cupid’s bow for a brilliant effect. Step 1. Traditionally, we will begin with moisturizing the skin and continue applying the foundation. For such angel face make-up, the foundation should be a couple of tones lighter than your skin. The same applies to the powder that is applied after that. Step 2. Finally you do not have to draw eyebrows with the perfect curve. For this “angelic” make-up, on the contrary, it is worthwhile to make them pale using a with a light concealer. Step 3. Now continue with the eye make-up. First let’s draw the inner lower lashline with a white pencil. Step 4. Then draw a thin line on the upper lid using the same white pencil. Step 5. Finish the makeup of the eyes with pearly shimmery eyeshadows. 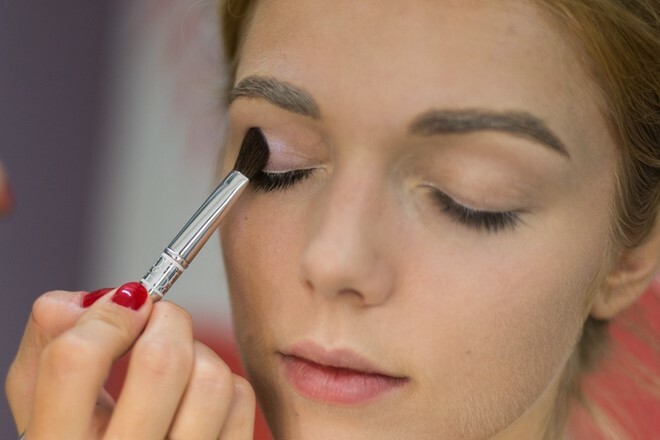 Apply on the movable eyelid using a blending brush. Step 6. 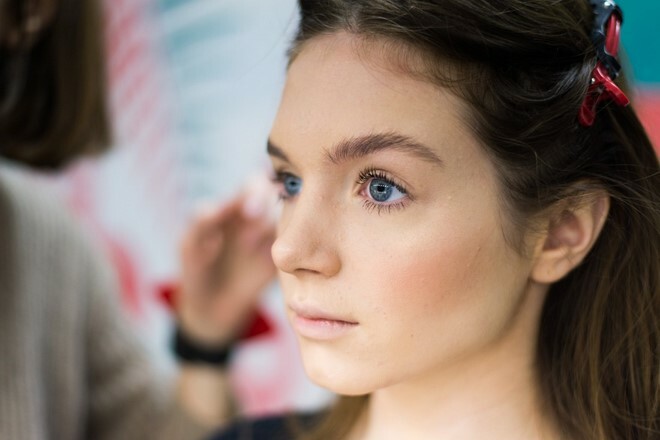 Add a gentle glow on the cheekbones! To do this we will need a highlighter, a lot of highlighter. Step 7. 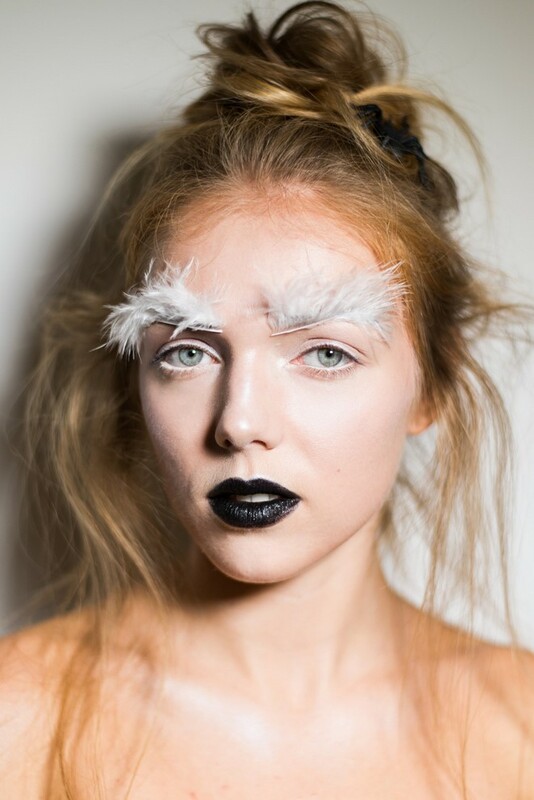 Now let’s start the most complicated part of the make-up – decorating the eyebrows with feathers. To do this, you will need the feathers (it is better to cut them slightly so they do not interfere) and a stick of dry glue. Carefully apply the glue on the eyebrows, then also gently stick the feathers. Step 8. 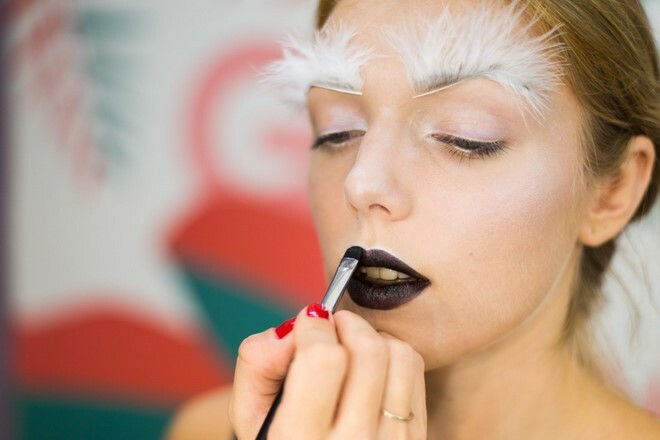 Let’s finish the make-up on Halloween with a dramatic lip make-up. Take a little lipstick on the brush and carefully draw the outline, then fill the remaining space. For more effect, we’ll add a little glitter to the top. clear base liquid such as mixing medium, glycerin, clear lipgloss etc. Step 1. Traditionally, we will start with the preparation of the skin for make-up: we will apply moisturizing cream with light massaging movements. After it has absorbed, proceed to the foundation. Since we create an image of a vampire princess, he can be a tone lighter than your skin color. The next step is applying a translucent powder and a gentle pink blush. And this step is completed by applying a glitter powder. 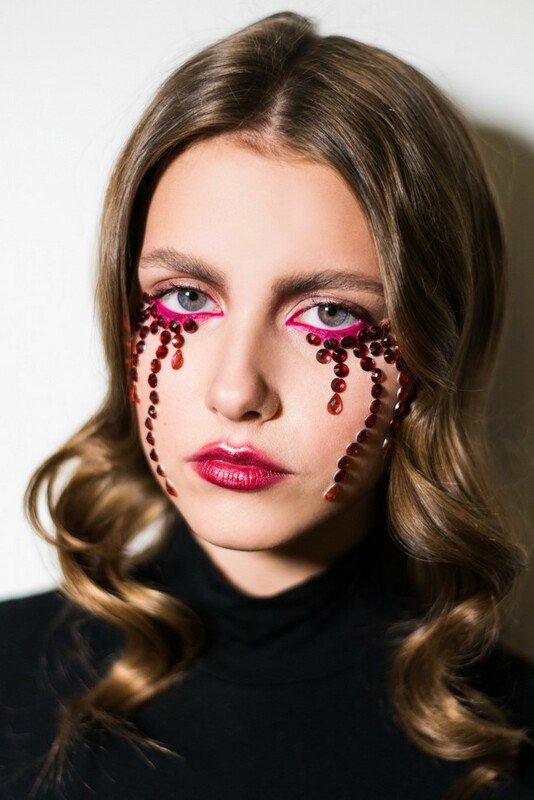 We put on the area under the eyes a liquid base such as glycerin or clear lip gloss and with the help of a brush gently “sprinkle” the black glitter. It will get messy, so hold a napkin underneath. Step 2. Matt lips – a trend that wanders from season to season. 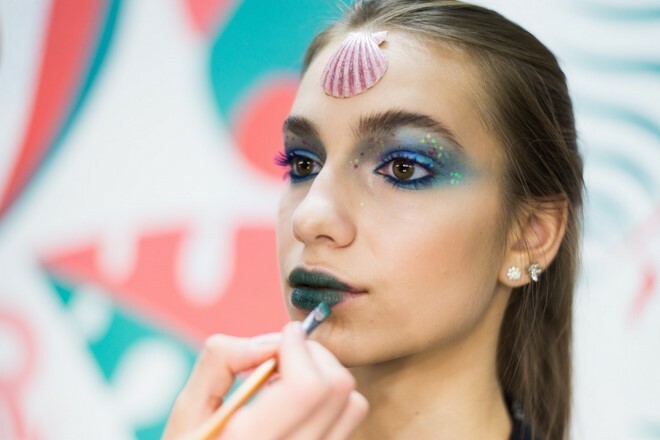 In this make-up look, it is also “involved.” In order to achieve the desired effect, we used a contour lip pencil with saturated pink color. Step 3. Add an accent on the cheek. In any store you can buy a set of thematic stickers for Halloween. For example, this one, with flame tongues, fits perfectly to the “vampire” look. Step 4. And now you need to give the look a little aggressiveness and severity. To do this, take the eyebrow gel and “comb” the hairs slightly up and obliquely. Step 5. What would be a vampire princess without blood on her lips? We use an artificial equivalent and apply a droplet on the lower lip. Step 1. The ideal smooth skin is the key to the success of any make-up. 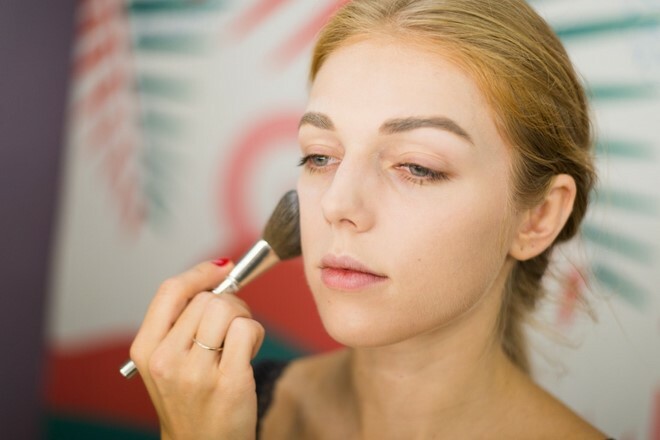 To do this, you first need to prepare a face (with moisturizing cream), then apply foundation base, matte powder and provide the skin a fresh look with pink blush. Comb the eyebrows with a special gel. Step 2. Apply on the moving eyelid blue eyeshadows. You can use a brush or make it with your fingers. Step 3. 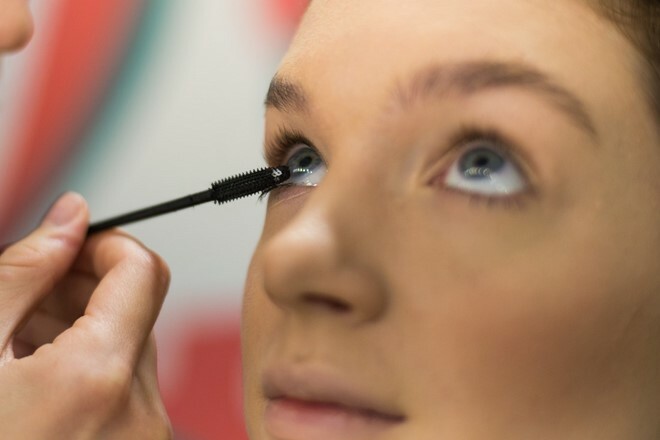 Using the brush, apply abundantly turquoise eyeshadows – on the inner corner of the eye, on the eyelid under the eyebrows and towards the temple. Step 4. Emphasize the lower eyelid with turquoise shadows. Step 5. 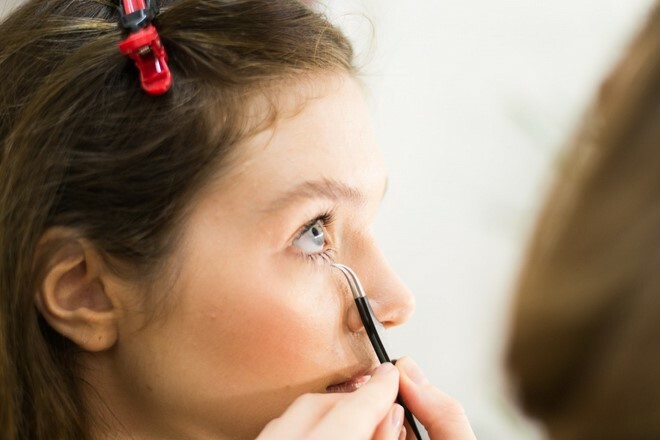 For a more expressive look, outline the eye with a bright blue pencil and apply blue mascara. Step 6. 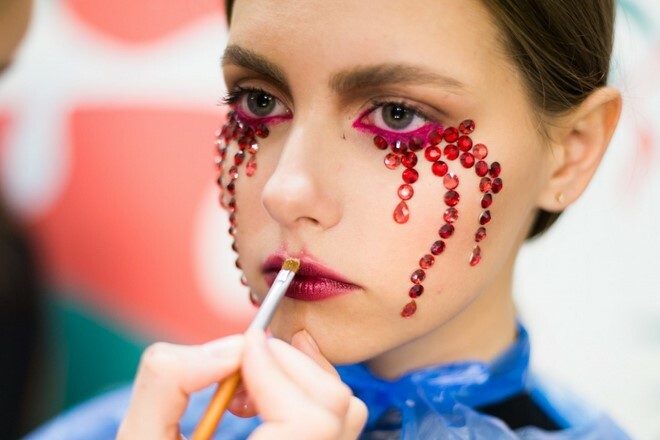 Decorate the eyelid with glitter sequins. 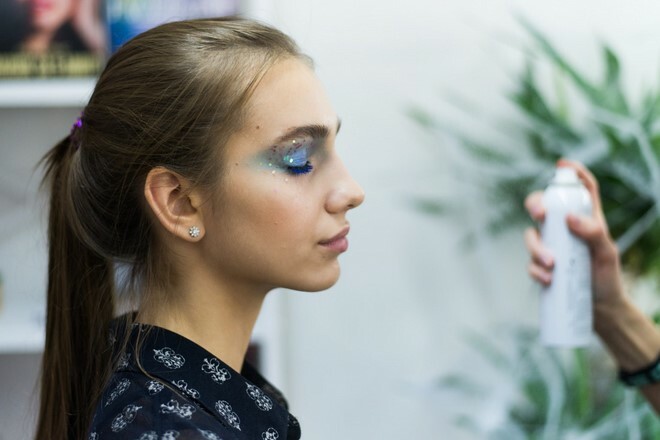 Use a fixative spray to improve the durability of the makeup. Step 7. 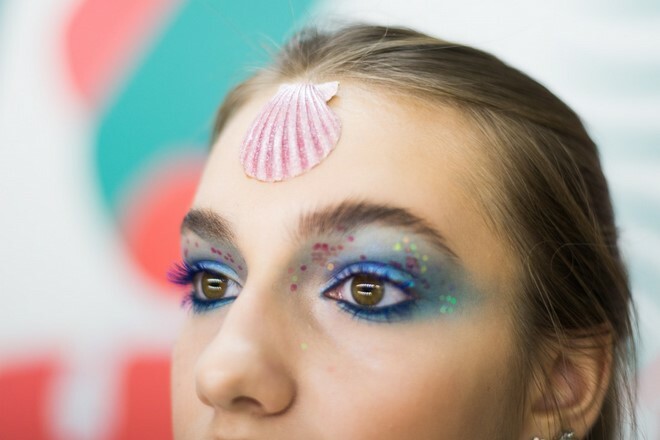 The image of the mermaid would not be complete without a beautiful accent in the form of a shell on the forehead. Glue it with a medical adhesive. Step 8. Since we do not have green lipstick, we will try a more common beauty-tool – green cream eyeshadows. You can leave them matt or covered with glossy finish. Step 9. 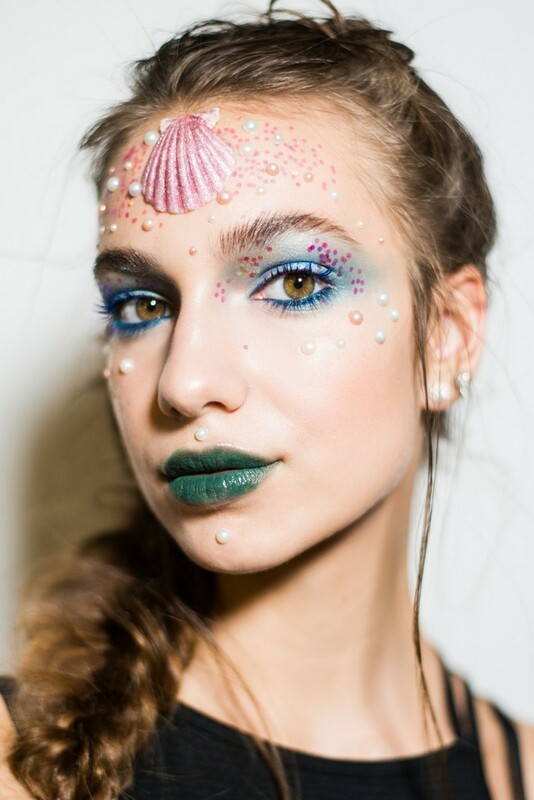 Complete the look using sequins and pearls to decorate the forehead, cheeks, hollow over the lip and chin. Step 1. Let’s start with the makeup base. First, moisturize the skin with a cream, then apply the foundation. The next step is to powder the face so that it does not shine and emphasize the cheeks with soft pink blush. Step 2. Comb the eyebrows with a brush or use a gel. But the main highlight of this makeup, are the eyelashes. Therefore, apply mascara. Step 3. 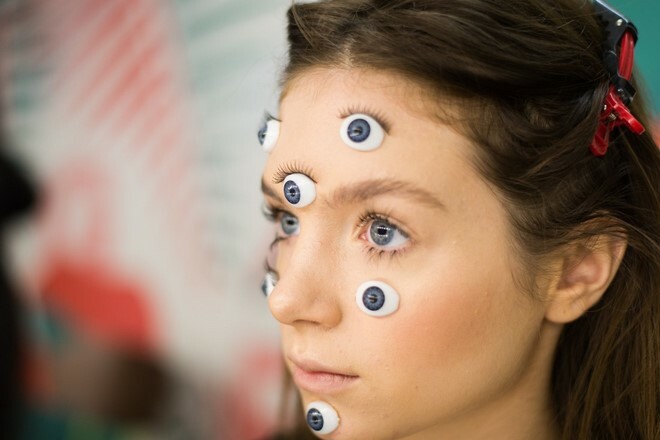 Artificial eyelashes will create the effect of wide open eyes. 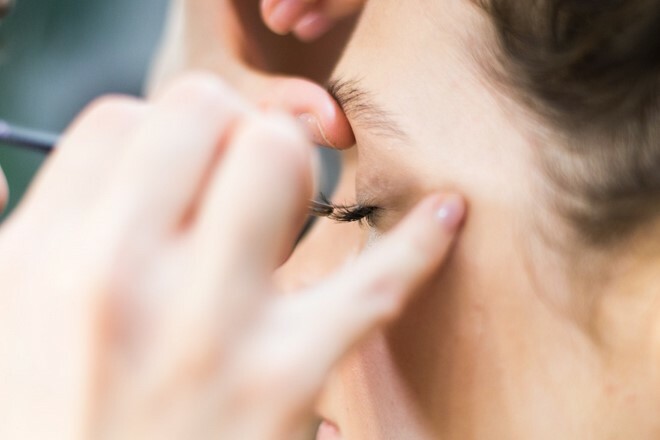 Using tweezers, gently stick them in the corners and in the center of your natural eyelashes. Step 4. Do not forget to do the same thing in the lower eyelid. Step 5. Buy from the craftshop eyes for soft toys and from the pharmacy – medical glue BF-6. 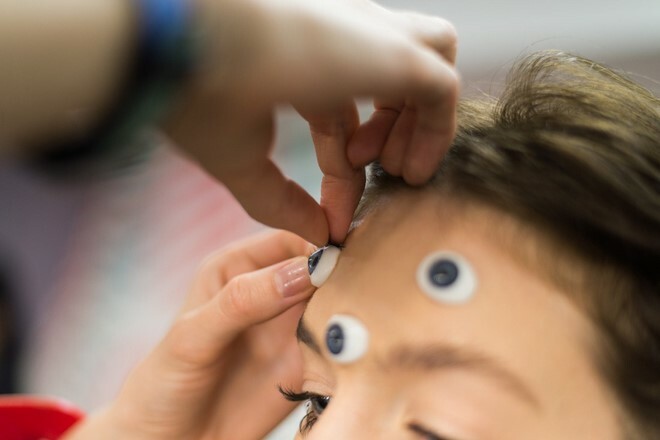 Determine on the face the point where you plan to glue your eyes and act. Step 6. To make artificial eyes look as realistic as possible, use again false eyelashes. And you are ready for a hell of a party! ← Previous Story How to make no sew sweater pumpkins in 5 minutes!